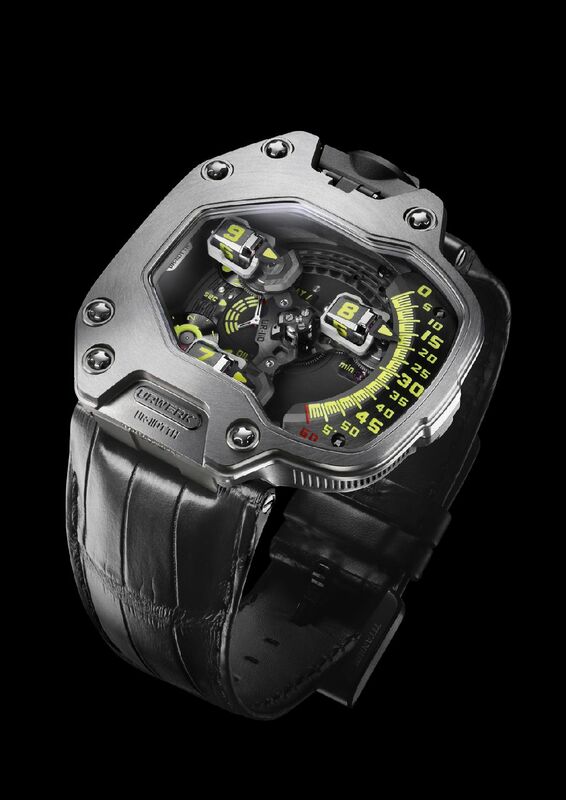 Swiss haute horlogerie brand URWERK enhances its UR-110 collection with two new stunning models: UR-110 TTH – with a super strong Tantalum hull – and the UR-110 ST – with a distinctively grooved AlTiN bezel. The UR-110 TTH is an imposing and robust timepiece that derives its strength from its bezel crafted in tantalum, a particularly hard and dense metal, well known for resistance to corrosion and for its bio-inertness. The TTH stands for “Tantalum Hull”. The sapphire crystal of the UR-110 TTH has also been upgraded. The armoured bezel of the UR-110 TTH boasts a thickness of 4.10mm (as opposed to 2.40mm on other UR-110 models). This huge piece, attached to the titanium case by six screws, gives it a battle-hardened character reinforced by the bluish-gray tint of the natural tantalum. Another feature with quasi-military overtones is the registration number etched on the sapphire crystal of the UR-110 TTH at 8 o’clock. Tantalum is a rare metal of which the name comes from Tantalus, a Greek mythological figure synonymous with temptation. 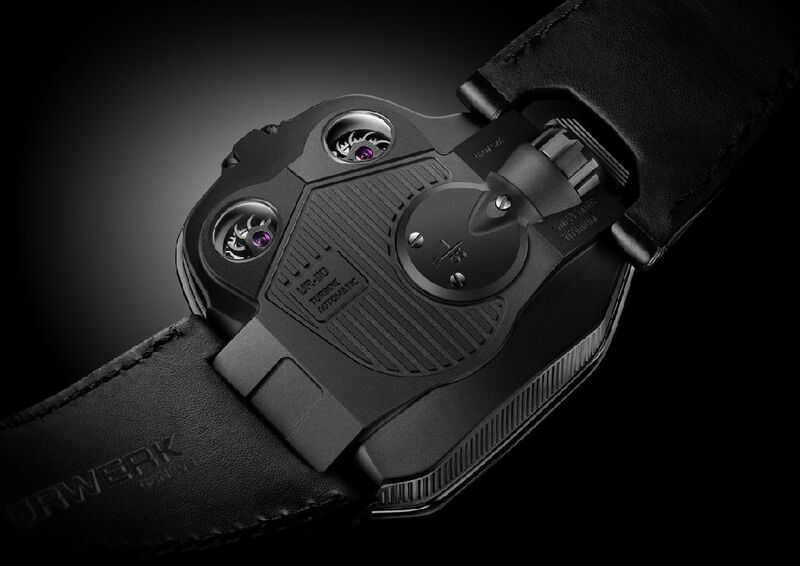 In UR-110 ST model URWERK placed a distinctively grooved AlTiN bezel. Having won the 2011 Grand Prix de Genève prize for Best Design Watch, the UR-110 is at the forefront of watchmaking excellence, continuing URWERK’s radical tradition of telling the time using orbiting satellite complications. – The three counter-rotating hour modules – each comprising an hour satellite, minute hand and counter balance – are each mounted on a planetary gear. These three modules are in constant counter-rotation to counter the direction of rotation of the central carousel. The ingenuity of the layout lies in allowing the wearer to view the time discreetly and elegantly without the need to pull a cuff or sleeve back. The UR-110’s technology can be appreciated through the large panoramic sapphire crystal. 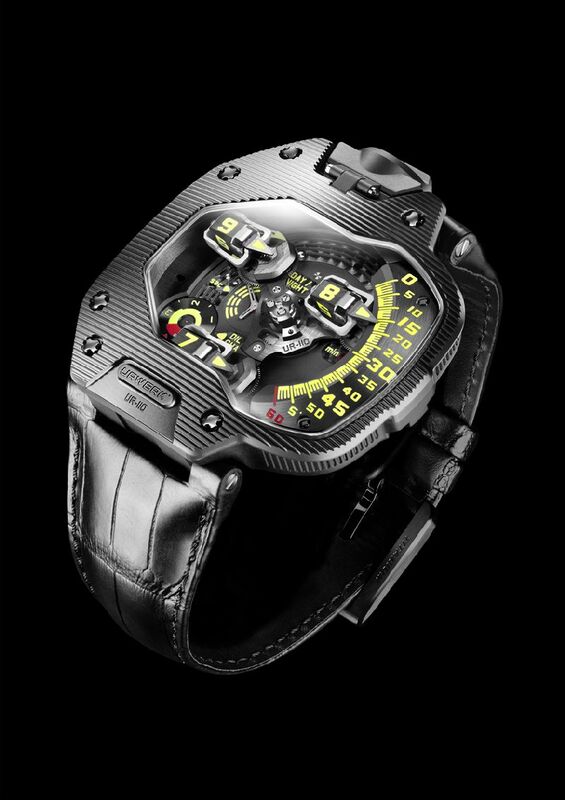 As well as indicating the hours and minutes, the UR-110 also features a Control Board on the dial side with indicators for “Day/Night” and “Oil Change” – URWERK’s service interval display – as well as small seconds on a sub dial. Turning the watch over, the titanium back encloses the innovative automatic winding system regulated by dual turbines.